Disasters can strike at any time with devastating results. Companies must take the proper steps to prepare for the worst in order to minimise damages. 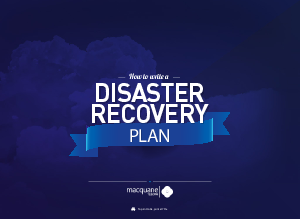 The best way to do this is to prepare a written and verbal Disaster Recovery Plan (DRP). Download this guide to find out how to write a formal DRP.